Emma Lewis, Senior Relationships Executive at Travelife, explains why Travelife is supporting Make Holidays Greener 2014. Travelife – which helps hotels and accommodations around the world reduce their environmental impact and support local people, local culture and the local economy – is a natural partner of the Make Holidays Greener campaign. The SUNRISE Select Royal Makadi Resort in Egypt has experience of successfully organising beach clean-ups with staff and guests. Its last beach clean-up involved 32 customers and 23 staff, who together collected 19 kilos of waste which was then sent for recycling. Their story was then featured as a case study in the Travelife newsletter and website to help inspire other Travelife members. To celebrate World Oceans Day and Make Holidays Greener Month, the Travel Foundation worked with the Sal-based NGO SOS Tartarugas to organise a beach clean in Serra Negra, Cape Verde. 25 participants collected approximately 700kg of rubbish over 3.5 hours, including fishing nets, plastic boxes, wood and glass – enough to fill three pick-up trucks. The event was also supported by the Protected Areas Project, which provided a pick-up truck and driver, and School Kim Barbosa, which provided catering equipment. A traditional Cape Verdean hearty stew called cachupa was made by a lady called Felipa for the beach clean team. The Travel Foundation’s Melipona bee project in Mexico started to pay dividends recently, as the Much Kaab female beekeeping cooperative despatched their first order of honey products to a hotel. The Grand Park Royal Cancun Caribe received its first delivery of toiletries containing the honey – which is supposed to have special healing powers – on time and on spec. Guests in the VIP section of the hotel will be offered a soap “cheeseboard” on arrival, with a choice of different soaps. The order for more than 1,000 items – including shampoo, shower gel and soap ­­– earned over £2,400 for the beekeepers. Keen to work with local suppliers, the hotel agreed to special terms and conditions of payment that benefit small business such as the Much Kaab cooperative. Maya communities in Mexico’s Yucatan Peninsula have been keeping stingless Melipona bees for centuries. Sadly, numbers of these special bees are declining rapidly and the bees are threatened with extinction. It is estimated that there has been a 93% decrease in hives in the last 25 years. As part of a project set up with funding from Thomas Cook and Co-operative Travel, the Travel Foundation planted 450 fruit trees to boost the bees’ natural habitat, and provided extra bee boxes and training. Now we’re helping the beekeepers to make a living by selling honey products to hotels. The products are branded “Much Kaab”, meaning united or working bees. May’s Travel Lottery winner recently returned from holiday to discover that he’d won £1,000. Mark Harrison from Norwich bought his winning ticket while booking his airport parking with Holiday Extras. He and his girlfriend, Sheena, got a late deal to Marmaris in Turkey with Thomson, and on their return home they found out they had won £1,000 – enough to cover the cost of the holiday. Tickets for the Travel Lottery are available from www.thetravellottery.co.uk and through our travel partners. Farmers sometimes use bees for fertilizing the plants in their greenhouses. The bees are introduced artificially from hives that consist of boxes that can be moved from place to place according to where you need them. Farmers on the Taste of Fethiye project were using imported bees from Holland or Israel to do this job until several years ago when some entrepreneurs established bee breeding facilities in Antalya. These bees are a particular species that are specifically bred to aid tomato production inside greenhouses. Bees work for about two to three months inside a greenhouse and then the colony has a resting period. Taste of Fethiye agricultural adviser Himmet Inan usually advises farmers to use at least one hive per greenhouse, but this year two neighbouring greenhouse farmers wanted to see if it would be possible to use the same hive but in different greenhouses to fertilise their tomato plants. We approved the idea to see if it could be a good way to reduce costs by sharing bees. However, when we were carrying out our routine farm visit in order to provide advice and help to the farmers we found out that the bees were not working as we expected and were not fertilising the tomato plants as they should. Following some investigations and discussions with the farmers we finally got to the bottom of the problem. It came to light that the farmers were also using the bees to fertilise their cherry trees! What they hadn’t realised was that if a bee starts to fertilize cherries, they don’t want to work on the tomatoes anymore because they prefer cherries! Luckily Himmet was on hand to point this out and advise that the bees were not to be let out of the greenhouse to fertilise the cherries. He added that bees in the greenhouse are actually looking for a way to get out and fly around cherries because they taste better than tomatoes. If we had not been there as part of our routine visit the farmer’s crop would have been seriously compromised. 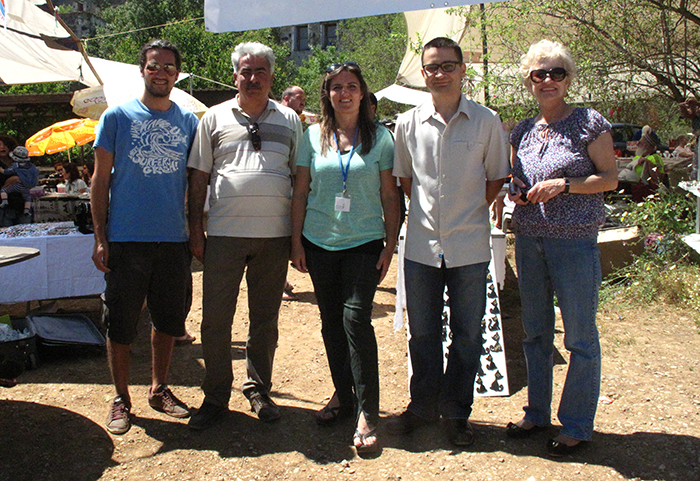 Last weekend, the third biannual Taste of Fethiye fair took place in Kayakoy, Turkey. The lively celebration of local food and crafts was set the valley’s old meydan, or village square, overlooked by the ruins of Levissi. Taste of Fethiye is a Travel Foundation project that brings together farmers, hoteliers, tour operators and visitors to offer a true taste of the region. Last week, 18 members of the Destination Council for Sal, Cape Verde, met at Hotel Oasis Salinas Sea. The Destination Council was set up by the Travel Foundation to bring together key tourism stakeholders including the Ministry of Tourism, local government, NGOs, hotels, tour operators and ground agents. Collectively the council is working towards a vision of Sal as “a welcoming, clean and beautiful island, full of Cape Verdean culture, tradition, craft and music. A destination recognised internationally for sustainability, protecting the environment and involving local communities”. During the meeting National Programme Manager Débora Abu-Raya gave members an update on the Travel Foundation’s three new projects in Sal – Better Beaches, Discover the Real Sal, and Cape Verdean Craft – and the council discussed how they could get involved in activities and involve other stakeholders. Questions were raised about how to deal with stray dogs on the beaches and the quantity of litter being washed up – members who had organised beach cleans shared shocking stories of the amount of litter collected in just one hour. 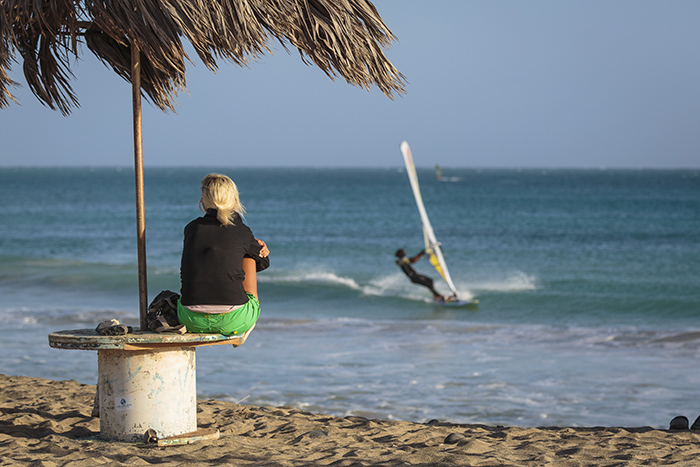 Through the Better Beaches project, and with the cooperation of residents and visitors to Sal, the Travel Foundation hopes to improve the beach environment so that it can be enjoyed by more people. Over the coming months, the Destination Council will be working on a joint action plan in order to achieve this vision for Sal, as well as contributing resources towards a beach clean for World Oceans Day on 8 June.